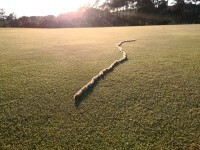 Online tee times are not availabile for Quinta do Lago South. A notable course that has been selected several times as the location for what is now known as the 'Algarve Open' and previously named the 'Portuguese Open'. 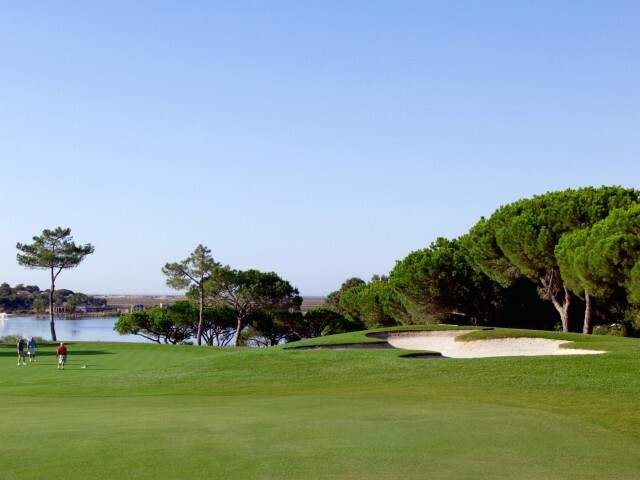 As to be expected the Quinta do Lago South Course is designed for the long hitter, requiring the player to pick a selected route around the course in order to make a decent score. The 18 holes are both anti-clockwise loops, the first nine needing a draw on the ball, whilst the back nine favours a drive that fades on each tee. A water hazard in the form of lakes are to be encountered on holes 3, 15 and 17. Experienced players find that the holes 8,10,15 and 18, are the most testing. Holes 2,3,5,12, 13 and 17, provides the player the best chance of making birdies. Beautiful, fast greens and well maintained. The South course at Quinta Do Lago is a must for everyone playing golf in Algarve. The course has a great mix of difficult and medium holes, and offers great reward for every golfer. The whole setup on all three courses at Quinta do Lago is second to none, and I'll recommend to everyone who's going to Algarve to play golf, to try all three courses. We visited today for the second time and had another great experience. We played the south course and had a great time. The course was in immaculate condition, albeit with slightly sandy greens at times. The staff were very welcoming and if I had anything at all to offer in terms of feedback, it would be that the green keepers were sometimes a little too present on the course; this was off putting to some of our higher handicappers. Overall it justifies its hype as a golfing deity. Very much enjoyed playing this course, we played early in the morning and although we had some rain over night the greens were in perfect shape, some areas of rough were quite wet and juicy but they soon dried out around the turn. Would certainly play this course again although a lot of the holes were quite similar. The course is beautiful, especially the back 9. Played off the whites quite long but get your away and you have a fair shot at the greens. Only downside I played front 9 first, then had to wait behind people starting off the 10th. But all in all a gorgeous course. Wonderful course, in good shape. Greens are nice. Personell not trained properly. Too much money for the service you get. It just seems it is the last money grqb before somebody will switch the lights out. Has anybody looked around and saw young people play? To post a review, score or a notice on Quinta do Lago South page's or to connect with other Quinta do Lago South golfers, please log in to your account or sign up using Google or Facebook.